When I first arrived on Valencia and McCoppin St. in 2005, the area wasn’t as developed as it is now. In the last decade plus, the Mission district has been booming and continues pushing north into the area (and our area is getting a huge shove with the completed Valencia Streetscape project, the incoming skate park and McCoppin Stub surrounding my complex). 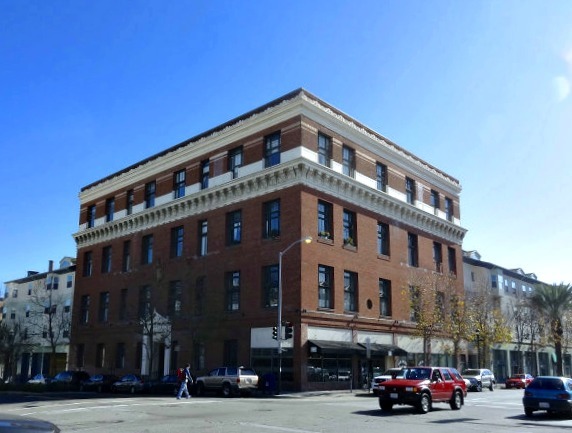 Jammed in between the Mission, SoMa, and Hayes Valley, McCoppin at Valencia had it’s own distinct character and that was a big reason I wanted to live there. Part of that character were the constant homeless encampments on both Valencia and Stevenson Streets, the stoop of my building often smelled like urine, cars were broken in on a regular basis, buildings were regularly tagged with street art, and we had no less than 3 medicinal marijuana dispensaries pop up in the area. By no means can these be categorized as great aspects of the area, but my philosophy has always been that it was the balance of living in a city. The Yin to the Yang. With all that in mind, what I do have a problem with are establishments that knowingly take advantage of these situations and add no value to the community. Specifically, there are two such places within spitting distance of my window: Travelodge Central and the Valmar Supermarket. These two are like dark clouds bookending the area, encouraging activity that I consider detrimental to the community. Valmar Liquor Store has violated city codes, the law, shown poor judgement and acted irresponsibly. Currently, the Valmar store sells alcohol to people who then drink in public right outside the store in the McCoppin Stub, often defecating, arguing loudly, passing out on the sidewalk, and otherwise making it an unpleasant environment. Neighbors have already expressed concern to SF Rec & Parks, the Office of Economic and Workforce Development and SFPD that this will get worse once the McCoppin stub is converted to a park in the next couple of months, and extended alcohol sales hours will no doubt add to that. Previously the guys working at the store have: associated with drug dealers who hung outside all day, every day; kept an unaltered pitbull in the store (illegal to be unaltered and health code) ; reportedly kept a gun behind the counter; been unresponsive to invitations to participate in our Neighborhood Watch group, etc. 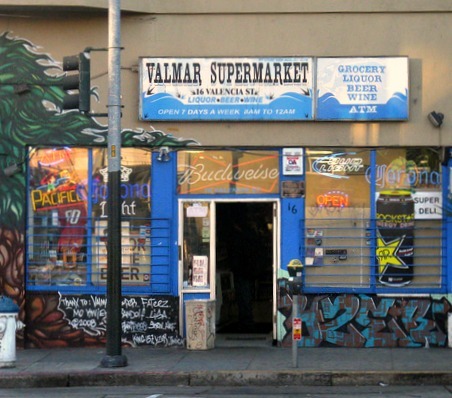 The Valmar store’s immediate neighbors in the same building are the Ketama Cooperative (a medical cannabis dispensary), Palm Tree Massage (which had their business license revoked on May 17, 2014) and Martuni’s bar. Across the street is the Travelodge. While Ketama and Martuni’s seem to be laregly responsible neighbors, there has previously been lots of traffic between the Valmar store, the massage parlor and the Travelodge that seemed to involve prostitution and drugs. Extended alcohol sales hours will only encourage more of the same. The fact that Valmar applied for an extension with the McCoppin park/stub set to open outside their doorstep in a few short months displays their disrespect, and complete disregard for the well-being of the neighborhood. If ABC allows this application, the community and law enforcement will have to deal with even larger issues perpetuated by the irresponsible behavior of Valmar. Their interest is money and they’ll continue shrugging their shoulders to the bank. Say NO to Valmar. If we can block this extension, it will also send a message to Valmar. Help us get to 250 signatures by signing this online petition. Nice try. Just because it’s “family owned” doesn’t automatically give Valmar a pass to do whatever they please. My heart doesn’t bleed with the whisper of political buzzwords. The neighborhood changed ten years ago, maybe more, and Valmar chose to serve the “METHHEADS., CRACKHEADS”, and not for any altruistic reasons of maintaining the good old days. On top of that, many of said clientele make their ways from other parts of the city. I know because I live right across the street from this place, and it’s been clear to me they don’t care about the community that surrounds them (many of whom consciously avoid it), only the ones that they prey can easily prey on.